The “Dakar Framework of Action” issued at the 2000 World Education Forum in Senegal with the commitment of 164 governments asserts that “Education is a fundamental human right.” The framework launched an ambitious agenda to increase access to basic education for all peoples by 2015, recognizing that nations would be the primary implementers of the agenda. The National Education for All (EFA) Summit entitled “Launch of the National EFA Report - Summit on Strengthening Partnerships for Education for All,” hosted on June 18 brought together cross-sector stakeholders to evaluate EFA progress in the Philippines. The Global Peace Foundation Philippines joined the conversation at the summit organized by UNESCO, the National EFA Committee, the Department of Education, and SEAMEO. The Global Peace Foundation has been recognized for its Character and Creativity Initiative to transform education as well its partnership with the Department of Education to implement the Alternative Learning Systems in remote areas through its GlobALS program. 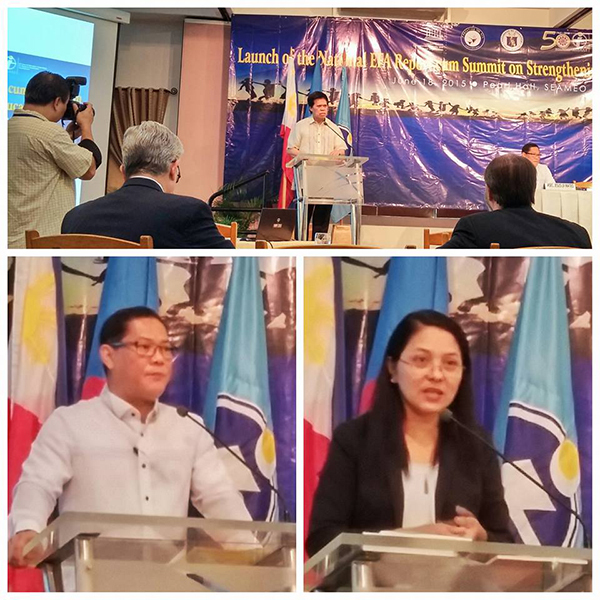 Featured speakers included Dr. Ramon Bacani, the Center Director of SEAMEO-INNOTECH as well as Head of the National EFA Committee Secretariat of the Department of Education, Asec. Jesus Mateo. Global Peace Foundation representatives engaged actively in the planning sessions held during the Summit, presenting best practices from their experience implementing the GlobALS program for youth and adult learners, as well as its work with administrators, principals and teachers through the Character and Creativity Initiative. 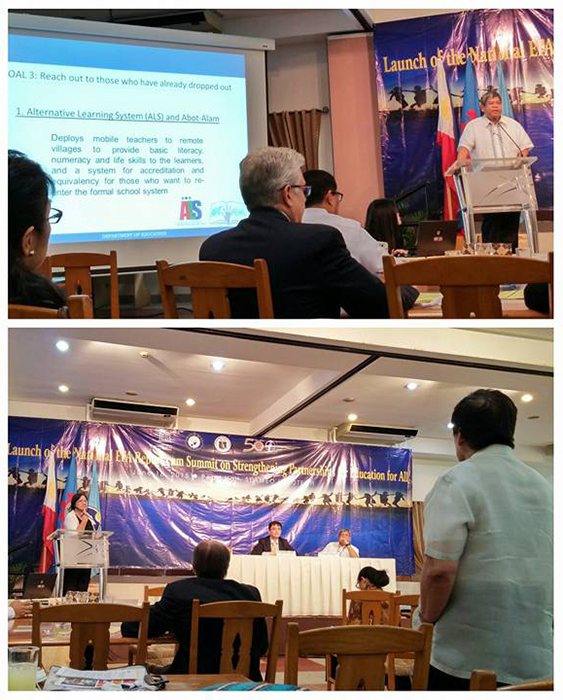 Global Peace Education Philippines Director Ann Montejo presented outcomes of the discussions among stakeholders seeking to identify a way forward, particularly through public-private and civil society partnerships to continue to advance the agenda of Education for All. She reflected, “Through the summit, I recognized the valuable efforts invested by many organizations (public and private) in advancing Education for All, and how GPF is uniquely contributing to it through CCI and GlobALS."